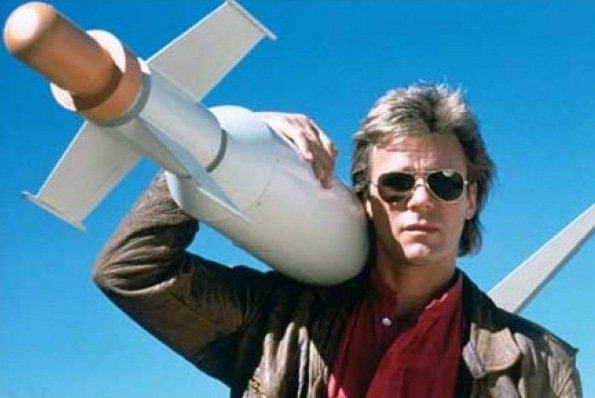 What would MacGyver do? Help or hike it? Being fifty-something, I like to help out others where I can. Even when it means smacking-down the inner cranky old woman shouting “someone else will do it” and “you’re too busy” and “don’t get involved”. On Saturday evening I was faced with a “help or hike it?” dilemma … a situation where I had a choice … to walk away or get involved. I asked myself “What would MacGyver do?” (as one does in such situations), and jumped right into the fray. I won’t go through the details. It’s a long and boring story. Let’s just say it involved me shouting (assertively not aggressively) at a stranger (someone who was in danger and who I was almost certain was in the midst of a mental health episode), running (fast) for some distance (very uncharacteristic), shadowing said stranger some distance on a dark road (including furtively ducking behind trees as necessary) and waving down a passing police car. For about twenty minutes, I had reluctantly accepted responsibility for the safety of someone I didn’t know. And I’m not sure why. I think it may have been out of fear … fear of what I’d have to live with if something happened to this stranger and I hadn’t tried to help her. What is it that makes you step up and take control, not just see that something needs to be done, but actually jump in and DO what needs to be done? I’d love to say it’s humanity or community. But I’m not convinced. Some people are just better at it than others. I’m way down the scale. I don’t deal with drama well and I’m surprised I opted to get involved this time. I remember sitting gobsmacked with eyes like dinner plates one Friday night while my sister Gay debriefed her day’s adventure over a bottle of red. She’d been waiting for a train and witnessed a bag-snatching. She didn’t hesitate. I doubt she stopped to wonder what MacGyver would do. She just gave chase (in her business suit and heels) across the car park, through the municipal gardens and into the city streets, yelling as she went for bystanders to call the police and help her catch the guy. She got her man. The lady got her bag. I don’t think Gay got her train. I was effusively proud. At the same time I was ashamed. I doubted I would have done the same thing. What galvanised Gay into action? Was it pity for the bag-snatching victim? Was it anger at the criminal? Or was it just a well-honed sense of community responsibility? I’ll never know. Whatever it was, we should bottle it. And distribute it free to schools and workplaces and sporting events, so when you do resort to asking “What would MacGyver do?” there’s a support crew behind you, fuelled up on MacGyver Juice (in three exciting new flavours), ready to answer the question and step up with you. Now that would be community. Previous Post Announcing … ta-dah … book giveaway winner! This was motivating, but also made me smile. I loved the line: I don’t think Gay got her train. Well done Shez. I’m proud of you stepping in…..too often people look the other way. I hadn’t heard the story of Gay and the bag snatcher – but have such a strong visual of Gay giving chase, and the expression that would have been on her face – and the stern look and the words of wisdom that the culprit would have received free! !